Military technology has become absolutely fascinating in the past few years, with autonomous drones, robots, smart technology, and exoskeletons advancing nicely. The Russian military is reportedly developing mind-controlled exoskeletons, multiple Russian news outlets claim. If there is any truth to the reports, soldiers could carry up to 600 pounds of additional weight. What makes this announcement curious is the idea that Russia is five years away from being able to include a neuroelectronic interface so the suit's wearer has a unique controlling mechanism. "The Russian Army is set to receive mind-controlled exoskeletons," the Russian Sputnik media source said. "The wearable robots will be controlled by brain waves and will increase the strength and endurance of the serviceman wearing it by several times." The US military and other governments are trying to create their own exoskeletons to help carry added payloads. 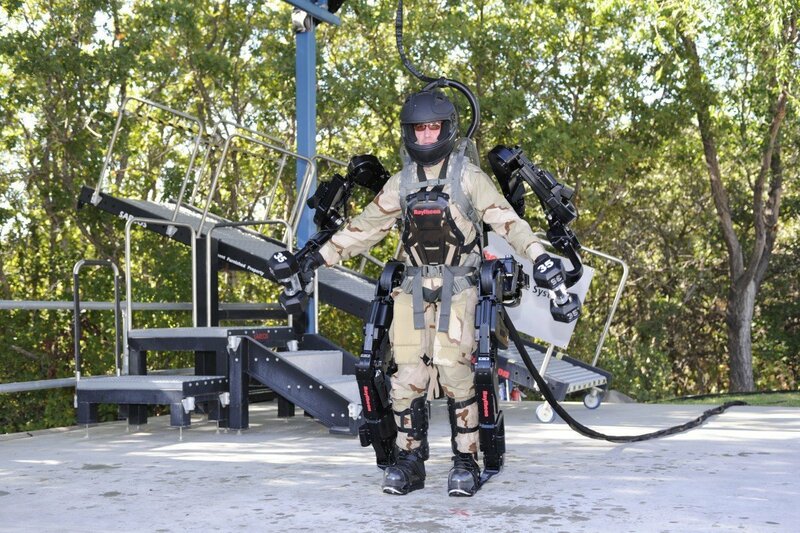 Lockheed Martin and the US Navy are currently testing the Fortis exoskeleton, with the private defense contractor hoping it will one day be available for the commercial market. Meanwhile, the Okinawa National College of Technology has created a Skeletonics exoskeleton that could make future breakthroughs.